Dr. Harvey’s, manufacturer of fine all-natural health foods, treats, herbal supplements and herbal grooming essentials for companion animals, has added the truly irresistible Oracle Tripe to the existing line of highly nutritious, freeze-dried foods for dogs and cats. Raw green tripe is a very high quality protein with an abundance of amino acids, omega 3’s, omega 6’s, enzymes and vitamins essential for every dog’s diet. Tripe is known to be one of the best sources of meat protein available for dogs. Using tripe as a main protein source can help dogs with a myriad of health problems, including, skin problems, digestive issues, allergies and kidney problems. All of Dr. Harvey’s products, including Oracle Tripe, are made and packaged in the USA. Oracle contains no chemicals of any kind, no preservatives, sugar, salt, or dyes. Oracle Tripe comes in a Grain-Free option. 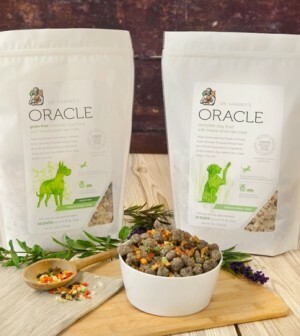 Oracle is available at fine pet shops, pet boutiques, health-food stores, online pet retailers, and at http://www.drharveys.com. 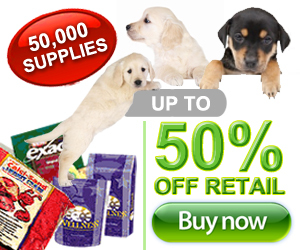 Dr. Harvey’s has manufactured fine health foods for dogs, cats, birds and horses for over 30 years. Dr. Harvey’s products are made with 100% human grade ingredients that are free of preservatives and chemical additives. The company is a pioneer in promoting the wisdom that feeding dogs fresh food at every meal is the most important health decision that owners can make for their beloved companion animal, and the key to ensuring a healthy, happy and stronger life. All of Dr. Harvey’s products are proudly made in the USA.